Epictetus (c. 50-c. 120 CE) was born a slave. His master, Epaphroditus, allowed him to attend the lectures of the Stoic philosopher Musonius Rufus and later gave him his freedom. From numerous references in his Discourses it is clear that Epictetus valued freedom as a precious possession. He would have been on the side of the many people living now who, while not actually enslaved, are denied true freedom by the harsh circumstances of their lives. Epictetus's teachings about freedom and human dignity have echoed through the millennia-in the writings of Spinoza, Thomas Paine and Martin Luther King, Jr., to name a few. He was much concerned with human behavior. His advice to not worry about what is not in our control is pointedly relevant to our busy modern society-which is often fraught with anxiety. Some people might argue that what Epictetus taught is not serious philosophy, more like self-help. 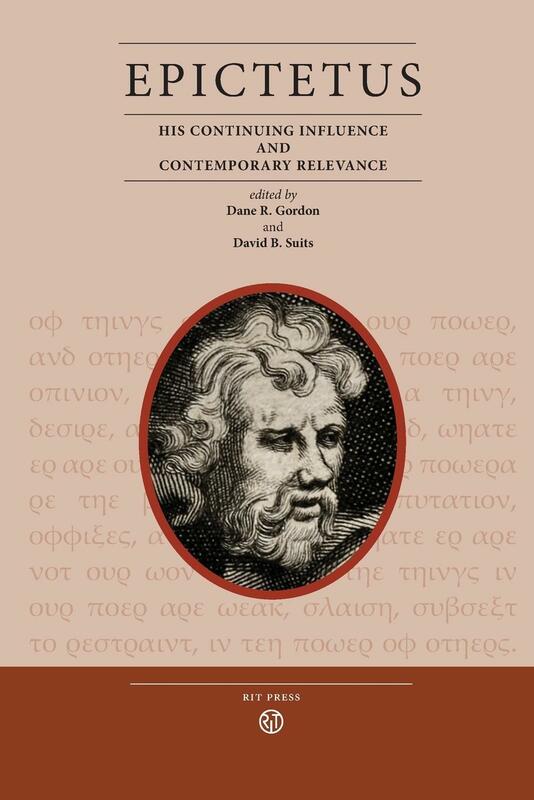 But the range of topics addressed by the essays in this book clearly indicates that the teachings of Epictetus provide strong incentive to present day philosophical thinking. Epictetus: His Continuing Influence and Contemporary Relevance is the title of a conference on Epictetus held at Rochester Institute of Technology in April 2012, when many of the ideas in these essays were first presented.